There’s a lot of wisdom in that quote. After more than 40 years on the scene he has continued to show up: as a highly accomplished jazz saxophonist, composer-arranger, bandleader, historian, radio producer and host, record producer, educator and book editor. A native of Youngstown, Ohio, his earliest experiences helped foster his deeply felt musicianship, strongly analytical perspective, commanding authorial voice, and reverence for the tradition – and its iconoclasts. 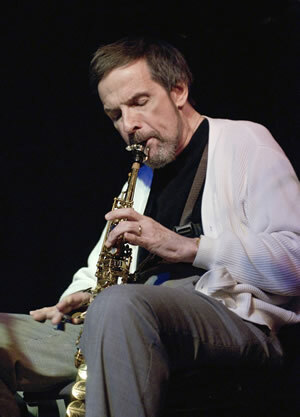 Kirchner is also widely known as one of the producer/hosts of the long-running radio program, “Jazz from the Archives, “which aired on WBGO from 1979 to 2014. He produced 131 episodes in a little over a decade. There are scores of ADA-compliant elevators operated and maintained by the MTA throughout its labyrinthine system. They don’t always work. He tells me how he left Ohio to be an English major at Manhattan College in 1971. It was an excuse to be in New York, where the music was. He had already found a saxophone teacher, the great Lee Konitz, who had put an ad in Downbeat advertising for students. The A train arrives. We’re on our way downtown. I ask him about his early days in New York and if the storied jazz club scene was still vital in the 1970s. Kirchner’s face lights up. As we roll through the old IND subway tunnel, Kirchner explains how he moved to Washington, D.C. right after college, in 1975, where he landed a job at the U.S. Department of Agriculture. He had taken the civil service exam, was about to get married and needed the work. He wrote and edited articles there, but eventually found himself in the company of J.R. Taylor, who worked under the celebrated writer, critic and historian Martin Williams. Together with a woman named Peggy Martin, Taylor and Williams ran the Jazz and American Culture Program at the Smithsonian Institution’s Division of Performing Arts. Before long, Kirchner was at the Smithsonian. The conversation drifts to Kirchner’s run-ins with major figures from Miles Davis (“Miles comes up, crouches down right next to me at the Vanguard, puts his hand on my knee, and says to my friend Joe Mosello, ‘You know, you shouldn’t drink beer on the gig; it dries you out,’) to Benny Carter (“So, I ended up picking up Benny at the airport in my chintzy little Chevette, you know. Benny Carter, the man who was class personified, who owned a Rolls Royce”), and our A train pulls into 14th Street; another elevator presents itself. We talk a bit about Kirchner’s disability. He explains how, after he was laid up from surgery and in rehab, the union went to bat for him. We now are at street level, and as we make our way across town towards the New School, I ask Kirchner, who joined Local 802 in 1980, about his years of work as a leader, and his deep experience composing, arranging, performing and recording. But Kirchner long ago rejected the identity of jazz critic. He understood immediately the conflict of interest between being a working musician and someone who could be hired by a club owner to “do them a solid.” That did not appeal. Eventually he stopped writing entirely, and didn’t resume it until around the early 1990s, when the critic Gene Lees encouraged him to get back to it. To avoid the critic/player conflict, he changed his focus to historical writing, and a booming CD reissue market helped. As far as teaching, he began that in 1991, at the New School, with a course called Advanced Composing-Arranging, which he’s taught now for 27 years consecutively. 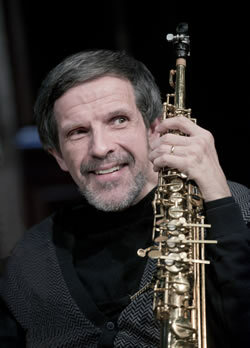 He teaches an improvisation ensemble course there as well. He explains that the skills he teaches are in part designed to help young people navigate a career in the music business. Kirchner’s a modest person. He tells me he’s not particularly disciplined, and that he just does things that he wants to do. It appears that he just happens to do many things very well. We show up at 55 West 13th Street, an hour early for his 9:30 a.m. class. I ask him if there’s anything else he’d like to discuss.